Property listed by Superior Town & Country Realty. 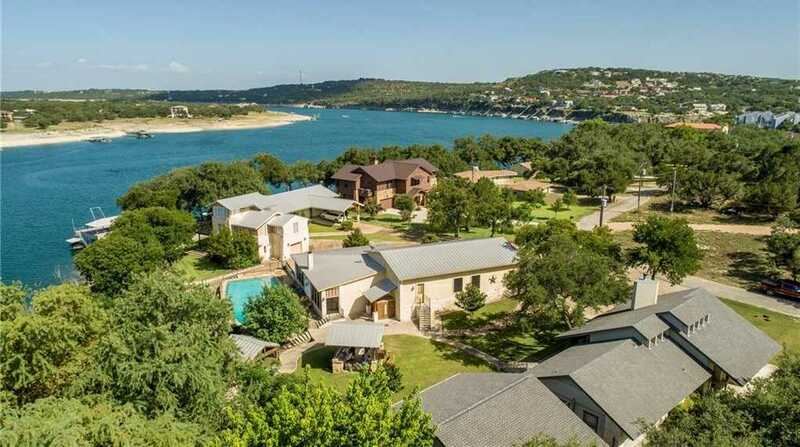 Lake Travis Waterfront Oasis – Main home 3800 sq.ft. w/2 master suites, loft office and basement with private entrance for guests. Guest home 3b/2b setup for large groups, full kitchen/laundry/view of the lake. Per owner-Man Cave w/4 car garage-kitchen-full bath-game room-in ground pool, sauna, hot tub, BBQ/smoker pit area all between the 2 homes with a view of the lake. Double Decker Boat Dock comes with 2 boat lifts, jet ski, platforms, covered lounge area, tram or stairs access and is self adjusting. Please, send me more information on this property: MLS# 3323508 – $3,600,000 – Spicewood, TX 78669. I would like to schedule a private showing for this property: MLS# 3323508 – $3,600,000 – Spicewood, TX 78669.